Smokepurpp and Lil Pump are two names that in music who have risen from making amateur music videos in south Florida touting automatic rifles, popping xans, and creating a cult following through Soundcloud to scoring major label deals with major debut album releases from both artist these past couple of weeks. Broward County, a county which is right outside of Miami has become Hip-Hops new hub for the latest coming generation of rappers such as Kodak Black, XXXtentacion, Ski Mask The Slump God, and Rob Bank$ along with childhood friends Smokepurpp and Lil Pump. The aesthetic of the new wave of music from both artist coincides with the current moment which can be described as Hip-Hop's version of punk or grunge rock with lo-fi distorted EQ'd songs and packed warehouse venue shows with primarily white kids moshing in the crowd as the rappers roar through the microphone. It's no secret that Xanax and lean are the primary topic in their music as they boast about using them in these substances in their daily lives through their social media. Before Smokepurrp became as the rapper he is known as today, he describes his come up as a producer creating beats through high school on Fruity Loops. Self-proclaiming that his production was garbage and that other artist wanted to purchase his track, Purpp then decided to record his own music without having an official rap name. After creating his Twitter account with the name Smokepurpp he branded it as his official stage name. Catching a lot of attention through Soundcloud, Purrp became an instant household name in the underground scene with his breakout hit "Ski Mask", a heavy 808 track with horror like organs that give the song a haunting sound reminiscent of old Three 6 Mafia records. This past March, the Florida rapper signed to Alamo Record under Universal Music Group. Along with dropping records like Audi which has reached radio rotation, Purpp finally released his very anticipated project from last week ago titled "Deadstar" also recently being the first signee to Travis Scott's label "Cactus Jack". In today's music landscape an artist image and social media personality is just as if not more important than the music itself. This is proven through the teenage Floridian superstar proclaimed as the "trap star of the century", Lil Pump. Before becoming an artist, Pump was known for getting trouble at school being expelled multiple times and even starting a riot, which led him getting kicked out eventually. The 16-year-old started recording as a joke with Smokepurpp until he released how many hits he was getting online and how much of a demand there was for his music in which he started to take the career path in music seriously. Out of all the artist from the underground SoundCloud generation, Pump creates the catchiest and simple lyric driven music such as his big hits like D Rose, Flex Like Ouu, Boss, and his most recent "Gucci Gang" which became his first record to reach the top 100 Billboard charts. Although having a number of hits that make him one of the top artist charting on SoundCloud, many Lil Pump fans know him more for his young, outlandish, and reckless behavior that is displayed through social media. From battle cry chants like "ESKETIIIIT" that he is famous for shouting in numerous public places like the mall or airport on his snapshot or crashing his rented Porsche and still driving it down the freeway, Pump himself has become a meme of his own. In a matter of months Lil Pump grew from 15k followers to a million followers in which he celebrated with a cake designed as a Xanax bar which he heavily glorifies as a significant part of his lifestyle. Even though his first debut album which is self-titled was released this week, the character that is Lil Pump has become bigger than the artist. 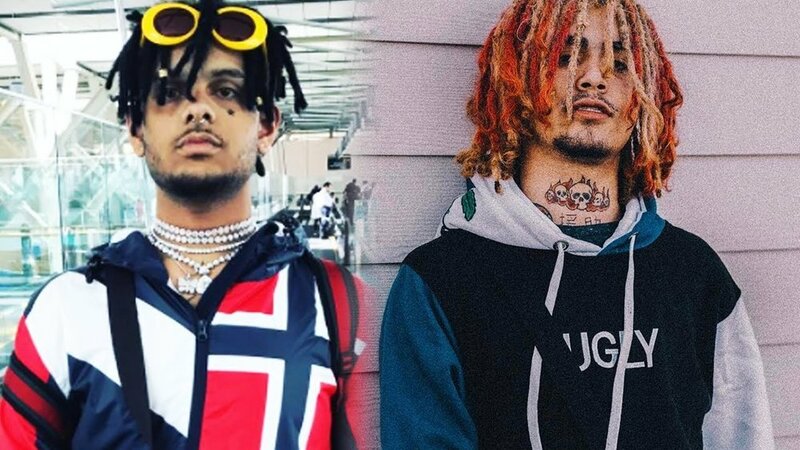 Both Smokepurpp and Lil Pump have had an extremely fast come up as two years ago they were in their mom's house recording through a cheap microphone to now having a number of hits and releasing major label projects. Soundcloud has become the host of success to many artists like these two, to organically produce a large fanbase in a short amount of time no matter the quality of music. Hip-Hop has reached its punk rock faze with new wave of face tattooed artist coming out of SoundCloud with a DIY approach to their musical careers and creating an image through their social media to market themselves as "rock stars" to complement their music. In today's world, charisma and personality is just as important as the music as it has become one in the same in which Lil Pump and Smokepurpp are prime examples of this.